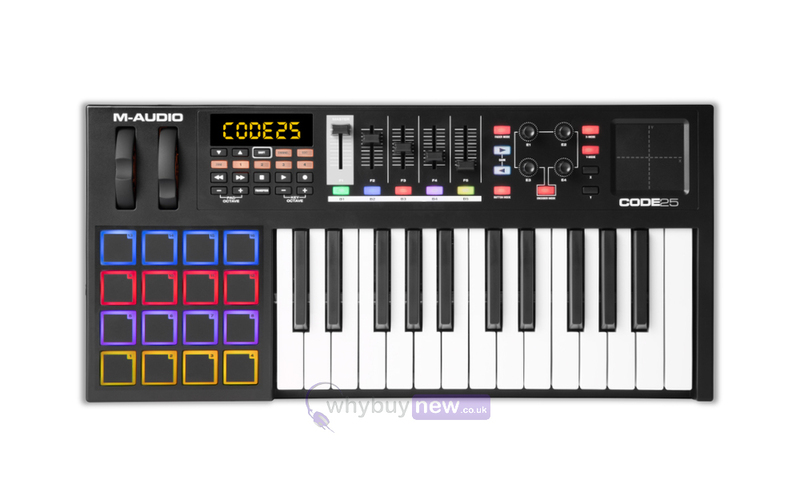 The M-Audio Code 25 in black finish is a USB MIDI keyboard controller and features 25 full size, velocity sensitive keys. 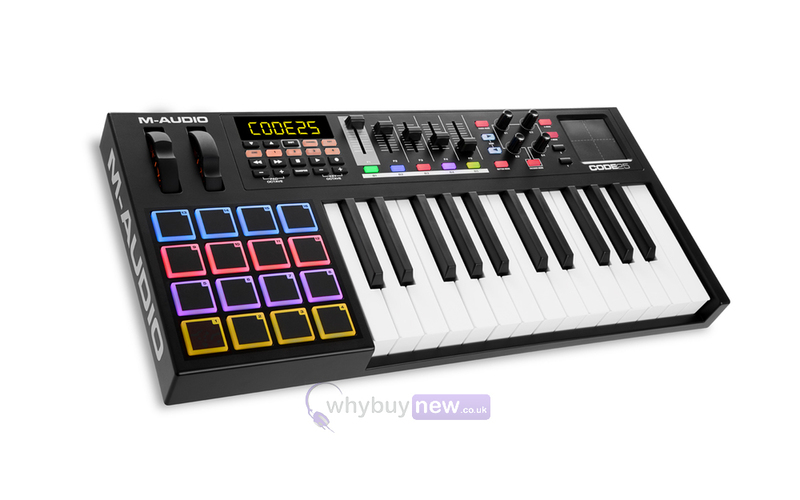 With the included software (Ableton Live Lite and Loom and Hybrid 3.0) this is a great addition to any home or professional studio. 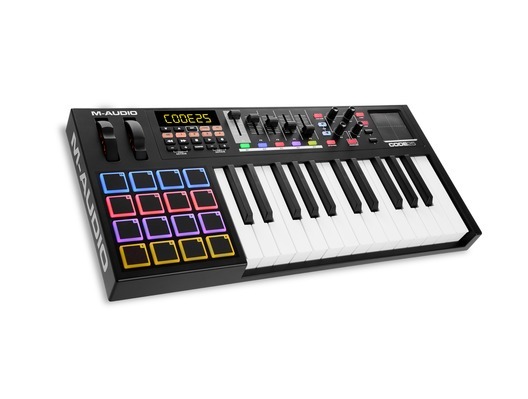 The M-Audio Code 25 black is easy to use, portable and can be powered via USB. All Code keyboards-25, 49 and 61 key models-have an all-new keybed with action that is clean, and precise. The natural profile keys are both velocity- and pressure-sensitive, for maximum expressivity. A comprehensive software package is included - Ableton Live Lite, Pro Tools First, 2GB Sample Library from Touch Loops and full versions of AIR Music Technology's award winning virtual instruments Loom and Hybrid 3.0-so you have unrestricted access to the best creative tools. 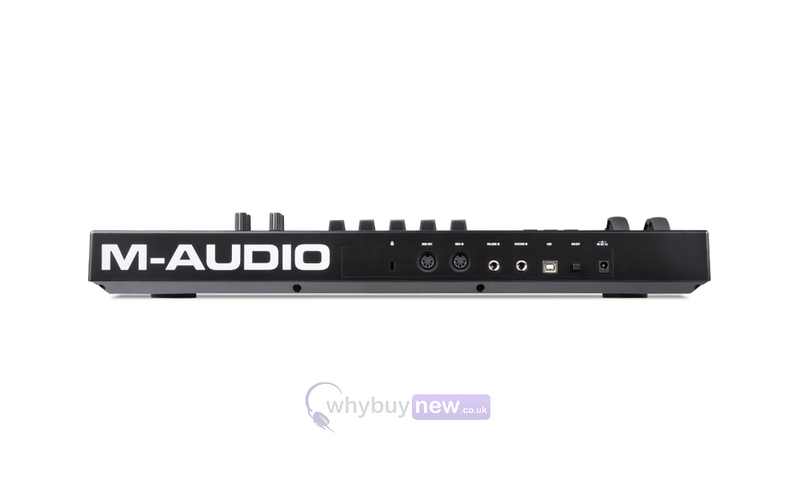 Here we have t he M-Audio Code 25 Black in brand new condition and in B-Stock. The B-Stock versions would have been on display at a training evening or trade exhibition only and will come boxed 'as new' with all accessories and a 1-year warranty. Online purchase very easy. Delivery was next day with courier hour window and I received an unused b-stock Code 25 with everything you would expect from a new item. Controller is brilliant and fits my needs perfectly. Service from WBN was brilliant and I will definitely look here again for any future purchases. Thanks.